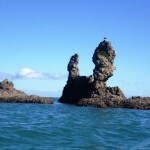 In the Firth of Thames there are a group of islands running north from Coromandel. We visited some of them this Easter. 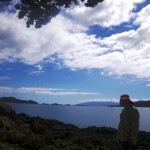 We spent Thursday night parked at Coromandel boat storage, just south of the town. Before dinner we walked out to the end of Preeces Point Rd, but were disappointed to find that we could not get down to the water. 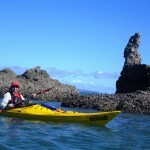 In the morning we drove out past Te Kouma, where the ferries from Auckland berth, and launched the kayaks off a beach at the end of the road. 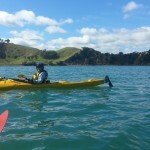 We passed huge areas of mussel farms on our way out to Whanganui Island. 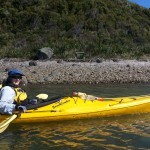 Coming around the north side, we crossed a small passage to Motuapere Island. I wanted to land, but the beach in front of the DOC sign was stony, so we continued around the coast looking for something better, without success. 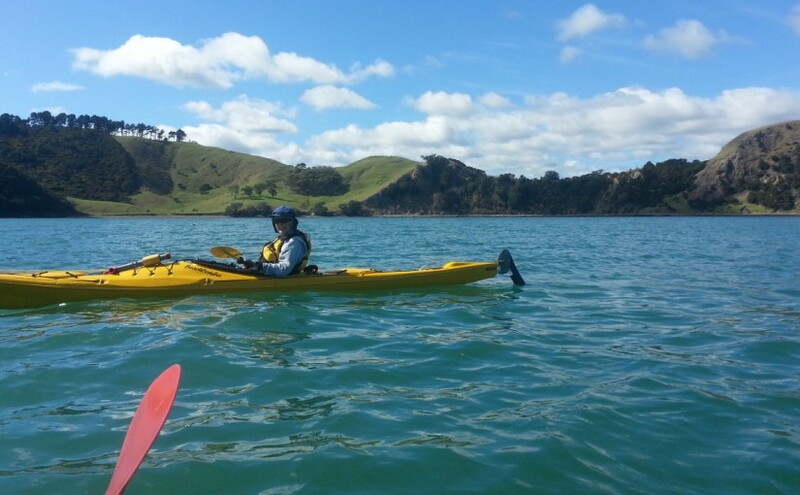 Back across the channel, we could see a pleasant sandy beach on Whanganui, so we headed there for a swim and lunch. Felicity was getting a bit nervous that we were on the wrong side of a long peninsular, but eventually we spotted the narrow passage back into Coromandel harbour. After packing our gear away, we drove north to discover that most of the camp-grounds were full. We ended up at a farm stay just south of Colville, parked in a paddock beside a small creek. Glad you had such great weather for so much hard travel.